Relay Therapeutics CEO Sanjiv Patel. Cambridge-based Relay Therapeutics said Thursday that it has raised $400 million in venture capital — one of the largest hauls this year by a privately held Massachusetts biotech — to advance its drug development programs. The company, which was founded in 2016 by Boston-based Third Rock Ventures, has now raised $520 million in capital. The firm wants to use breakthroughs in computer technology to make movies of proteins in motion. Malfunctioning proteins are implicated in many diseases, and the images would help scientists better design medicines that could bind to targets. Relay has about 70 employees who work at 215 First St. Patel said the infusion of cash will help pay for the company to add at least 30 employees next year and move to a 45,000-square-foot office building at 399 Binney St. 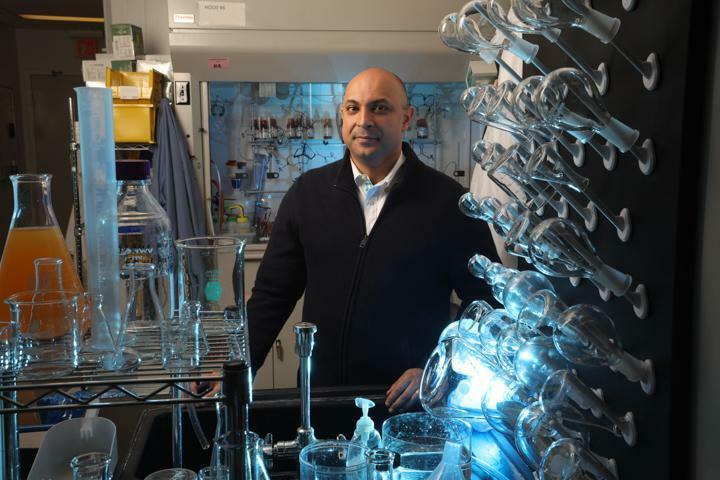 The company has yet to start clinical trials of any drug, but Patel said it will initially target a variety of cancers caused by malfunctioning proteins. He said the company hopes to develop medicines to treat other diseases, too. The latest funding round was led by the SoftBank Vision Fund and included participation from additional new investors including Foresite Capital, Perceptive Advisors and Tavistock Group. Existing investors GV, Casdin Capital, BVF Partners, EcoR1 Capital, Alexandria Venture Investments, and an affiliate of D.E. Shaw Research also participated in the round. SoftBank’s investment in Relay followed an even bigger local deal it made public on Wednesday — it invested $500 million in eight-year-old Cambridge Mobile Telematics. The 70-person company uses smartphone data to measure how drivers behave.